Fijian people of Melanesian or Indian descent are about to lose their land and their biscuit-tin shacks they call their homes. They live on land they don’t own. 2. Some are occupying state land or privately-owned land as squatters and do not have any title to the land where they are occupying e.g. people in Nadawa and some parishioners in Ba. 3. Others were “given” land to use by traditional landowners but now the land is being subdivided for development and those living there are facing the ultimatum of buy your land or leave it. 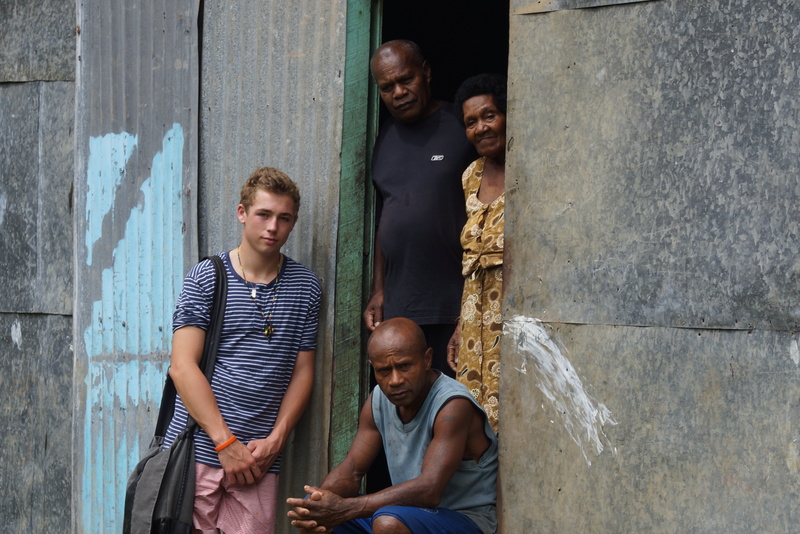 This lady was born here, and along with her sons have to demolish their hut and relocate it onto alternative land. The most crucial thing that needs to be addressed is the security of the people residing in these lands. In some cases the action taken will be less complex because all that is required is the payment of new leases; for others it will not be so easy since they have to be relocated. What is clear is that in some areas, time is running out and that action will need to be taken (including the purchasing of land) over the next 12 to 18 months or people will be left homeless. As the years roll by the situation becomes even more critical as the land development comes to a conclusion and the owners move to dispose of their land or require a return on the investment they have made. This will make it very difficult for many living in these settlements to stay where they are.